Edit: I’ve noticed the way this is wired, the brake light stays on if the clutch is pulled in and does not go off until the clutch is released. This is due to there being a CC cancel switch on the clutch side that is part of the circuit. Working out a different way to wire this up. Hey guys. 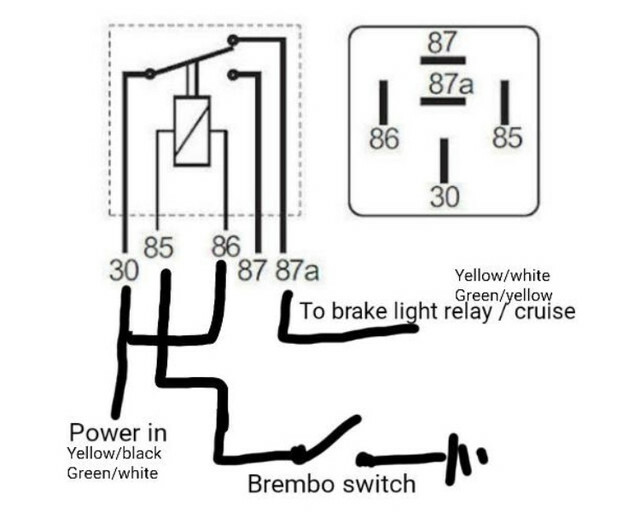 I’ve been looking for a way to run the RCS while retaining proper cruise control and brake switch operation. 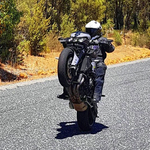 Got some helpful tips from a fellow rider on instagram (mt10_beast) and wanted to share with those who want to run a Brembo RCS 19. To preface- Brembo provides a brake switch to be used with the RCS, however it is a “normally open” style switch. This means when you apply the brakes, you close the circuit and this would turn on the brake lights on a bike with this type of switch. The OEM switch as a whole is a “normally closed” switch. (However, it’s actually two “normally open” micro switches inside of a plastic housing that mechanically reverses their function.) 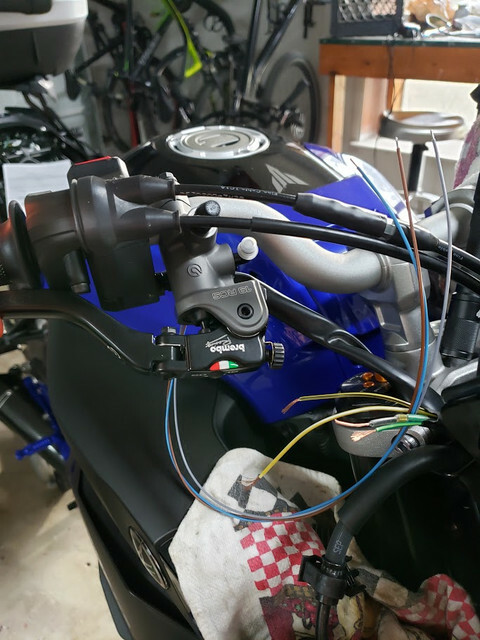 If you simply lopped off the stock switch and soldered the wires to the Brembo switch, your brake lights would be on when at rest and off when applying the brakes. CC would not function either. 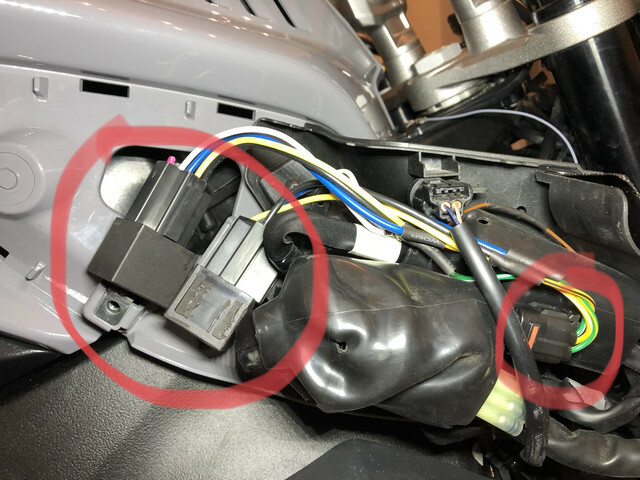 The fix to this is to wire two 12v relays (one for each microswitch) into the brake and cc switch harness to essentially reverse the Brembo switch from “normally open” to “normally closed.” The oem switch harness conveniently plugs into the main harness in the right hand air scoop. Follow the wires from the switch and cut 6-8 inches above the plug (circled on the right below) and wire in the relays as per below schematic. Ground out the Brembo switch on any bolt going into the frame. The relays (circled left) tuck neatly into the right air scoop. It’s a somewhat involved job but if you’re handy with a soldering iron it is very doable. Going back to stock is as easy as purchasing a new switch harness to plug in or you could simply solder the old switch back on. The 2015+ R1 Nissin master is a great direct drop in for those who rather not mess with the wiring, but hopefully this guide provides insight to those looking to wire in an even better radial master. Wow that's awesome, thanks for sharing. I've been thinking about doing the R1 swap for a little while now but it's nice to know there is another option out there. I need a little more expansion on this. My brain is having a hard time processing this. Can you post pictures of what it looks like after with a little explanation on what wire was cut and where it was soldered? And a part number or link for the 12v relays would be much appreciated too so I can make sure I get the right ones. Or where you got them and what they look like would work too. Wiring always screws with my head. Very interested in this mod. If I knew that I could keep cruise control, I'd be all over this. Same with adjustable rear sets. If I knew that I could keep cruise control, I'd be all over this. Same with adjustable rearsets. I have Lightech rearsets that utilize the OEM rear brake light switch. CC works fine. I use a Marquardt 1022.2201 switch, grind off the metal lip and you are ready to go. Which rearsets did you use oerknal ? Did either of you need any additional items to make the rearsets work with cruise control correctly? Lightech provided everything necessary to mount and use the OEM rear brake light switch. Nothing else was required. oerknal - Is this how you wired yours? Bought them in january and if i remember well you not need the blue Grey one . It looks to me that the brake light needs a closed circuit when brake lever is at rest. When the brake lever is pulled, it opens the circuit which activates the brake light. Using the Marquardt BROWN and BLUE wires replicates this functionality. What I'm not sure about is how the cruise operates. Does the cruise need the opposite of the brake? i.e. Open circuit when brake lever at rest, then closed circuit when brake lever is pulled? Brake light and CC are working both on normally closed , let the blue grey without an use for. Hi guys, it appears that Brembo make a normally closed switch to suit the RCS Master Cylinder. Could be an easier option? Have you even read what i wrote ? Just bundle 2x 2 wires from the stock wiring. I do not remember it anymore, because it's a long time ago. And you only use two wires @ brake light switch. The opposite colors as the Brembo version. Use a multimeter for measuring. My cruise control is still working (except for the roll back function of the throttle). I bought and installed the lighTech rear sets and they remove all the springs. Do u have a 2018 MT10 with cruise control? Does your set use the springs so u could use the original brake light switch?